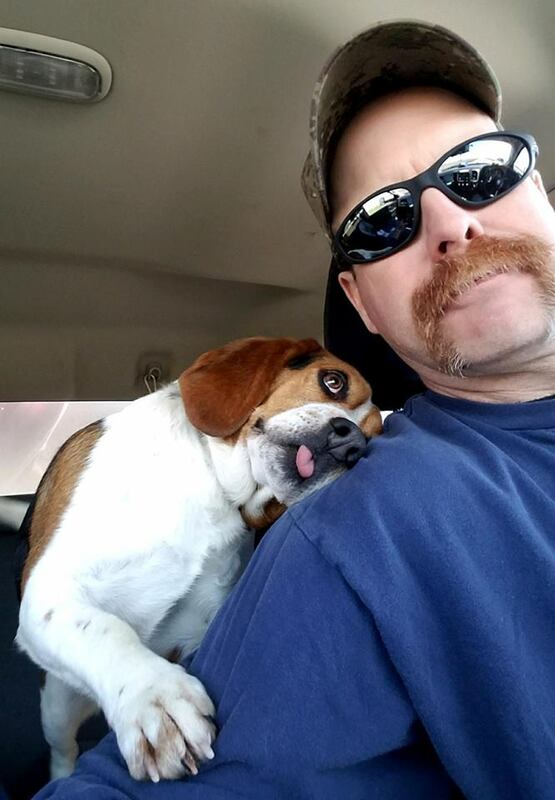 OHIO -- The adorable photo of a shelter dog taking his "freedom ride" photo has gone viral for all of the right reasons. 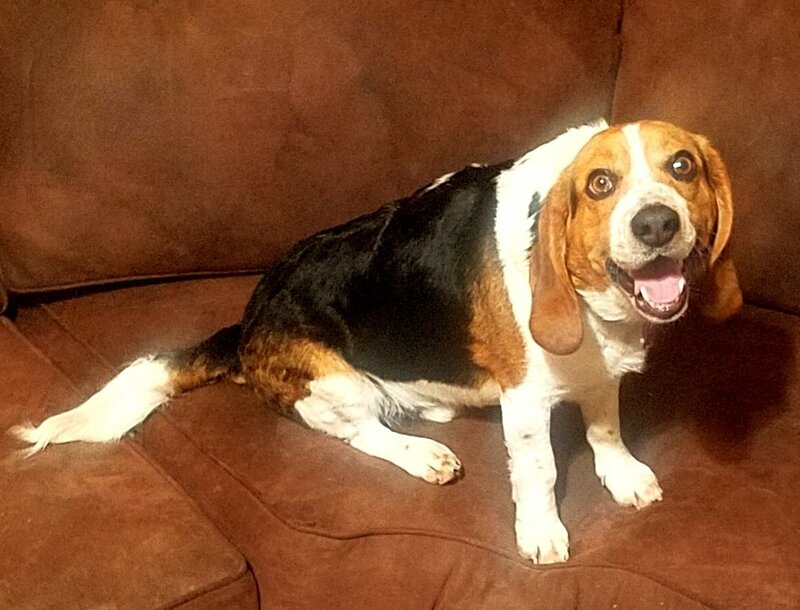 Gregory is getting a second chance at life thanks to his pals at HOUND Rescue and Sanctuary - an organization that rescues hound dogs in need of homes. 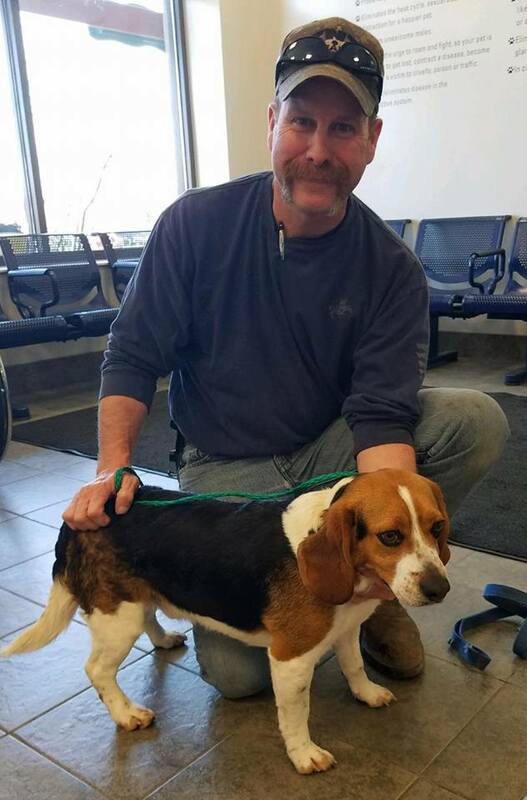 The 2-year-old Beagle was going to be euthanized at the Franklin County Dog Shelter in Ohio after he tested positive for heart worms, until Joe Kirk with HOUND saved him. Kirk snapped a photo of the pair during Gregory's freedom ride - a time to commemorate the moment when rescue pups are whisked away to safety. Gregory kept snuggling up next to Kirk and flashed a silly, tongue smile, almost as if he knew he had been saved from doggy death row. Kirk's wife Schenley, the founder of HOUND, shared the sweet moment on Facebook and it took off, being shared nearly 10,000 times in 10 days. "The BEST Freedom Ride Picture EVER! 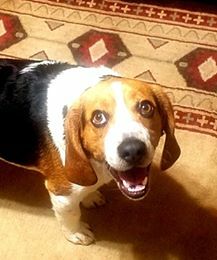 Pulled from the Euthanasia List at FCDS today by HOUND Rescue and Sanctuary, 'Gregory' is one thankful and appreciative Beagle! He KNOWS he is SAFE," she posted. Schenley said that Gregory has started to receive treatment and already has a new family wishing to adopt him. 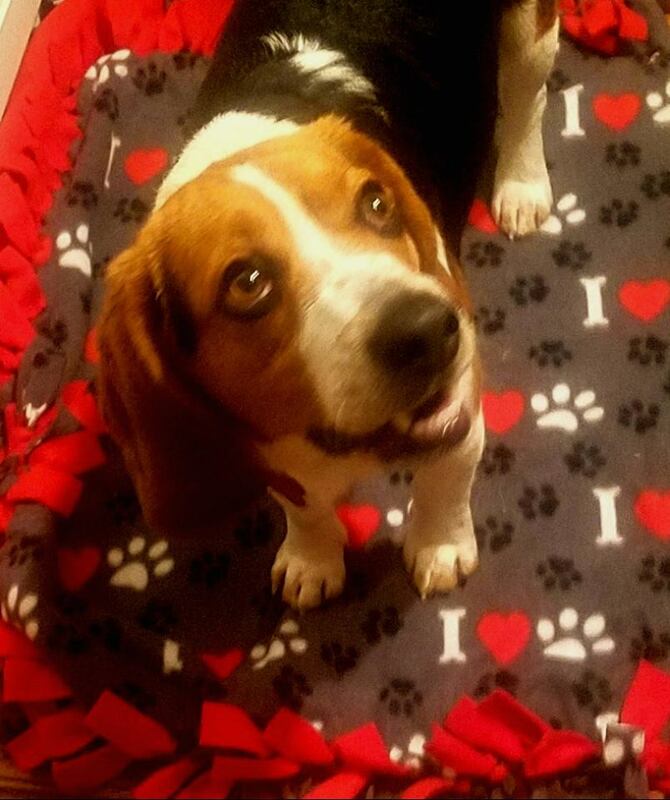 It's a happy ending that everybody loves, including Schenley. "As the founder of HOUND Rescue and Sanctuary, it is an honor and a privilege to be able to save the lives of dogs in need," she said. "Their lives matter. Ensuring their happiness, health, and well being for their future is our priority. We may not be able to save every dog, but surely for that one we are able to save, it means everything." 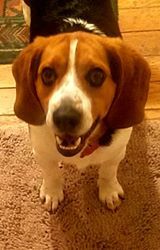 Click here for more stories and videos related to pets.